Sustainable Tourism Professional Practicum (STPP) - ACICIS. Study Indonesia. 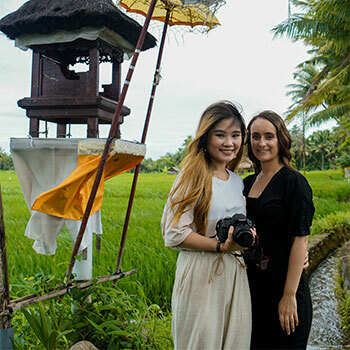 ACICIS’ Sustainable Tourism Professional Practicum Program (STPP) will be a six-week study program, undertaken prior to the commencement of the Australian academic calendar year (January – February). The program, hosted by Udayana University (UNUD) in Bali, consists of an initial two weeks of intensive Indonesian language instruction and English language lectures by local practitioners and experts in the field of sustainable tourism, followed by a four-week supervised practicum placement within a local or international tourism and hospitality company or organisation. The program is designed to cater for students with no existing Indonesian language skills. Candidates with existing language skills will, however, be welcome. Tourism is an important industry in many developing nations, where it supports economic development and propagates cultural heritage. This is undoubtedly the case in Indonesia which has a thriving tourism industry based on its abundant natural and cultural resources. The tourism industry in Indonesia, however, faces many challenges related to natural resource management and sustainable commercial practices. The need to develop sustainable tourism practices is a rapidly emerging issue in Indonesia as the industry – as it currently operates – continues to deplete the nation’s natural and environmental resources. ACICIS’ Sustainable Tourism Professional Practicum will provide Australian students with the opportunity to gain an understanding of the social, cultural and political systems that underpin the tourism industry in Indonesia, and to consider issues relating to sustainability and resource management within the sector. They will also gain practical skills in hospitality, management and other commercial practices within Indonesia’s tourism and hospitality sector. To enhance bilateral understanding through the creation of new partnerships between Australian and Indonesian counterparts, and serve as a medium for the exchange of ideas in the field of sustainable tourism. To develop students’ knowledge of sustainability and sustainable tourism practices, and the application of these concepts and practices within Indonesia’s tourism industry. Two weeks of intensive Indonesian language classes at Udayana University, designed to give participants basic Indonesian language capacity. A series of seminars and fieldtrips led by experts in, and practitioners of, sustainable tourism practices in Indonesia. A four-week full-time supervised practicum placement to give participants an (English-speaking) professional experience, within an Indonesian or international organisation operating within Indonesia’s tourism sector. In addition, an Academic Program Officer (PO) will be assigned for the duration of the STPP to oversee all aspects of the program, including the supervision of its academic content. Participants will also be allocated a workplace mentor at their respective practicum host organisation who will manage the student’s work within the organisation for the duration of the student’s practicum placement. Applicants should be aware that they are applying for the program, not a specific placement. Participants must therefore accept that they may not be placed in their desired choice. In addition, all ACICIS placements with business organisations depend entirely on the goodwill and preparedness of such organisations to host participants. Such organisations retain the right to withdraw from the program or vary the number of participants they host at any stage. Therefore, while acting in good faith in preparing participants for placements, ACICIS cannot guarantee any specific internship site and participants must accept this need for flexibility as a condition of participation in the Sustainable Tourism Professional Practicum. The visa that participants enter Indonesia on is not a working visa. Participants are strictly prohibited from undertaking any form of paid work during their time on the STPP. ACICIS takes this matter very seriously and will take disciplinary measures against any student found undertaking paid work of any kind throughout the program. Orientation is compulsory for all STPP participants. If you cannot attend orientation then you will, unfortunately, not be able to participate in the program.